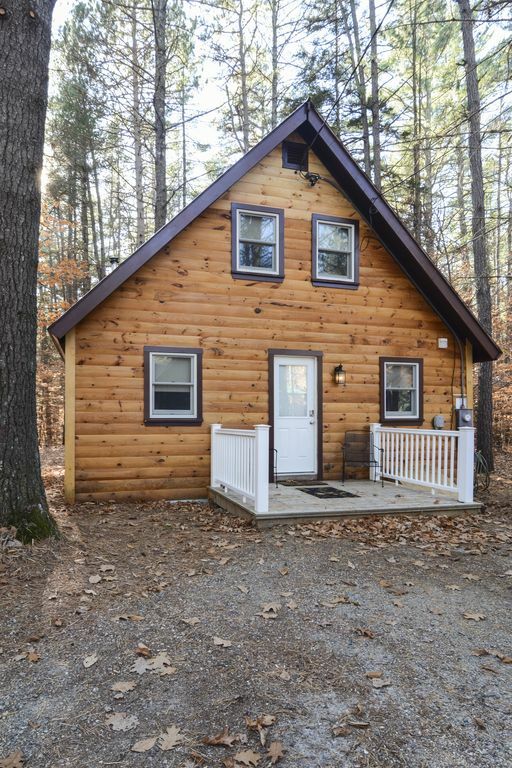 This is a newly renovated cabin with three bedrooms - including two twin beds, one queen, one queen; and a full kitchen with granite counter tops. It has pine interior, a wood stove, an open concept living area. There are two bedrooms upstairs and one in the main living area. Super cozy getaway, near Lake White. Had an amazing time staying to close proximity to some skiing resorts and is also close to local shops. loved it. Very clean and simple but all the comforts you need. Excellent location. Trudged through woods to Xcountry ski on deserted lake. We had a great time at the cabin again! It has everything you need (except towels). Will definitely keep coming back. There were plenty of local options for activity, like hiking, skiing, and skating. The house is modern and very comfortable. Rustic renovated cabin abutting White Lake State Park. Ski and ski mobile in the winter, hike and swim in the summer or rent a canoe, kayak or paddle boat at the lake. Any season this is a perfect getaway! Located at the beginning of the White Mountains close to many rivers, lakes, hiking trails and beautiful state parks. Shopping outlets located 25 minutes away in North Conway. Ski resorts located 10-20 miles away. Storyland located 45 minutes away.